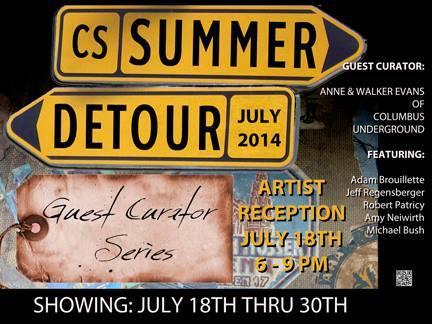 To keep this summer fresh and exciting CS is embarking on a new collaborative adventure!! Throughout June, July, and August we will be inviting some very exciting individuals to curate some amazing shows!! For our July Installment we are collaborating with local social media wizards Walker and Anne Evans of Columbus Underground to showcase some of the artists from their Featured Local Artists Series!